This month’s testimonial comes from Justin Bradfish who used the Roll-on Rock® System to upgrade this garage. The ¼” Nightfall flake blend was chosen to give this garage the perfect contrast against the black trim and white walls. 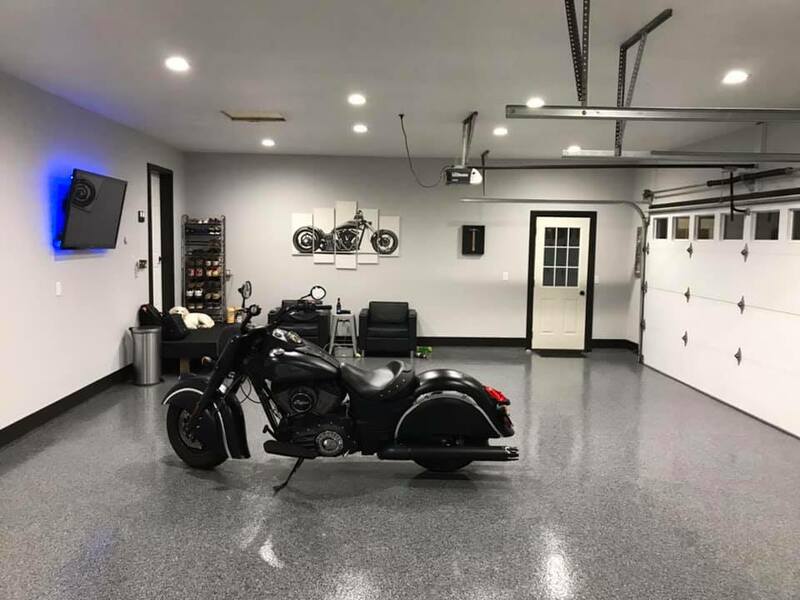 Justin used both 5205 Hybrid Ultra-Fast Drying Primer-Sealer and 5073 Polyurea to give this install a higher build, resulting in an ultra-smooth and shiny finish. 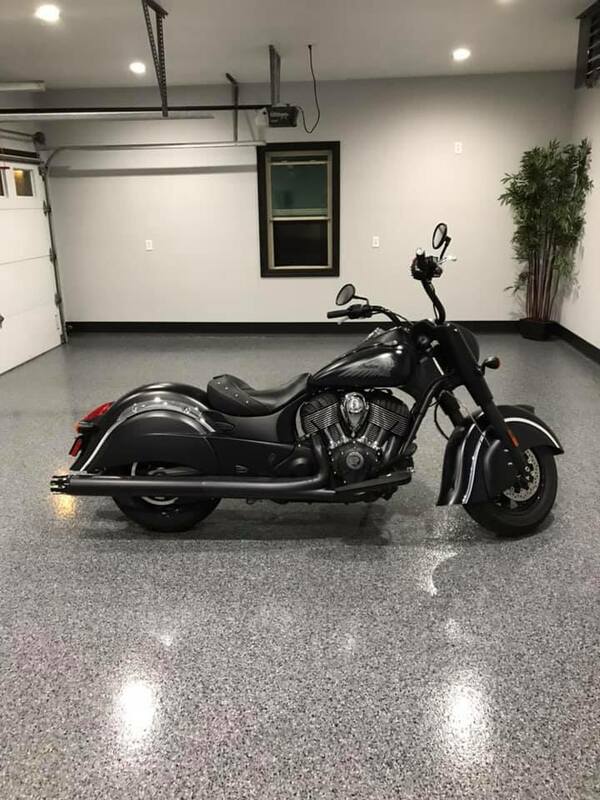 The motorcycle looks right at home in this revamped garage. We are also super happy with your install Justin! Keep up the great work.